By Melissa Lennig on February 21, 2018 Leave a Comment. This content contains affiliate links. As an Amazon Associate I earn from qualifying purchases. 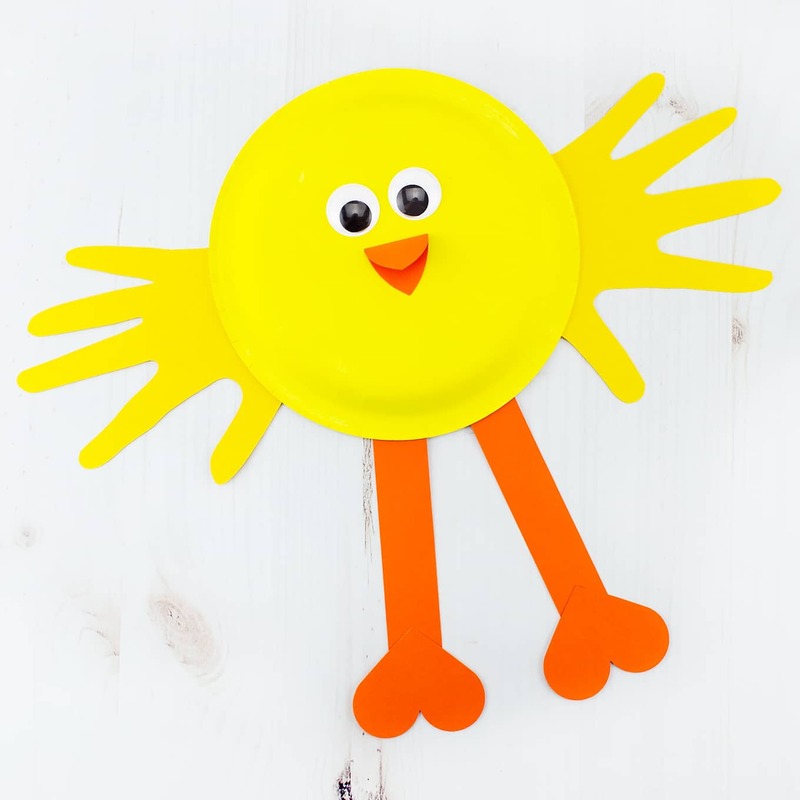 Inside: Looking for an easy and fun spring craft for kids? 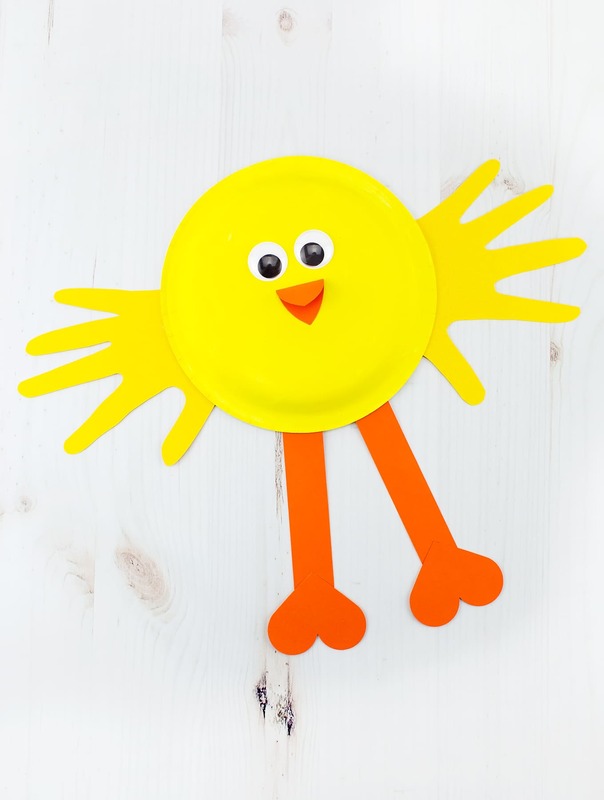 This vibrant Paper Plate Chick Craft, created from construction paper and a paper plate, is perfect for welcoming spring at home or school! Spring is in the air! 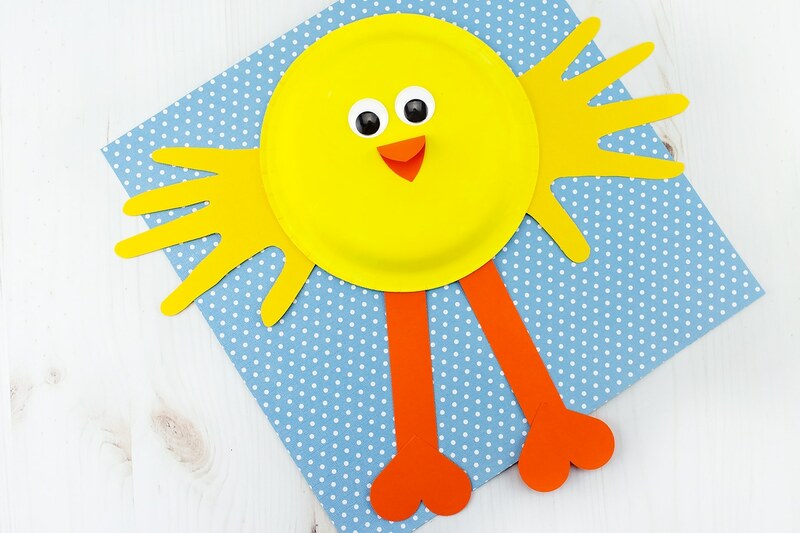 This classic Paper Plate Chick Craft is perfect for welcoming green grass, blue skies, and warmer weather. 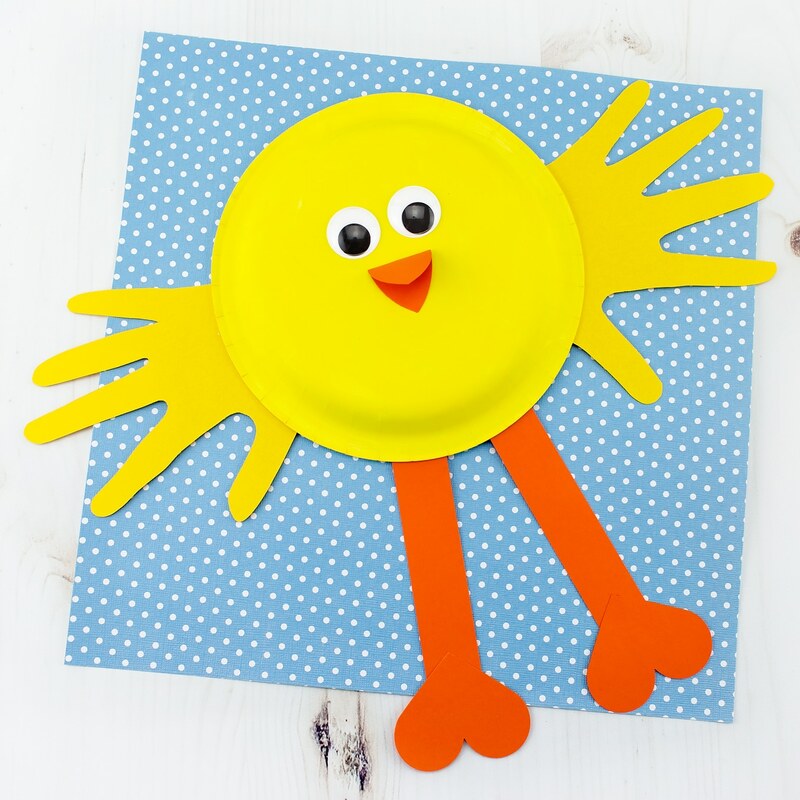 Spring is the perfect season for baby chick crafts! 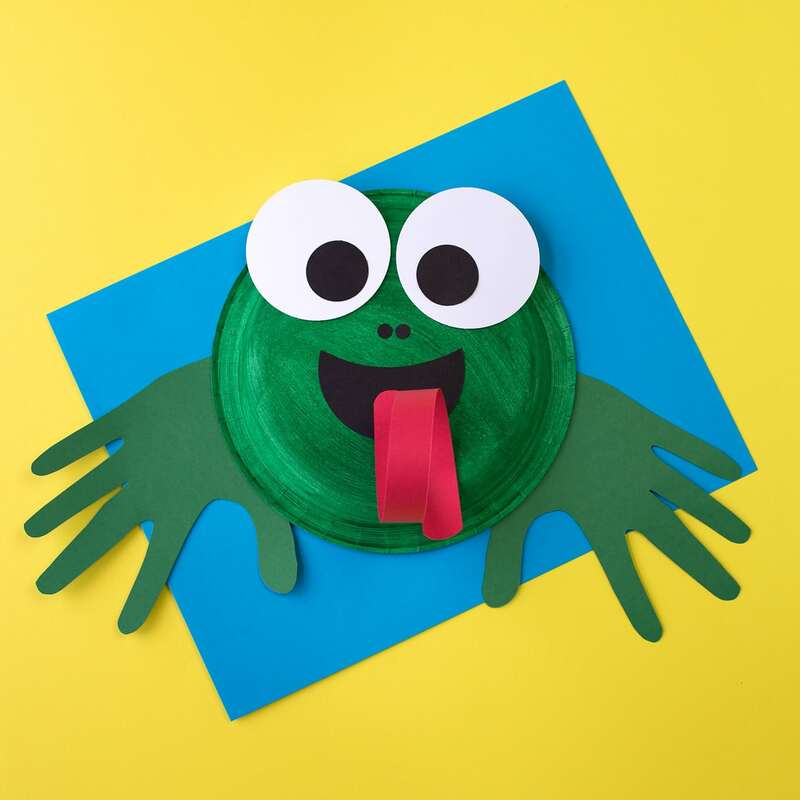 This cute craft looks adorable on school bulletin boards or hanging on the refrigerator at home. 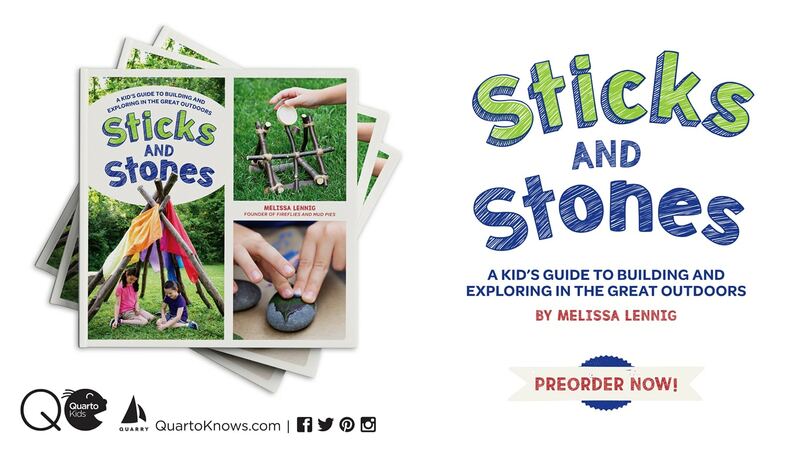 Pair this craft with a spring writing prompt, books about chicks, or a visit to a farm! 1. 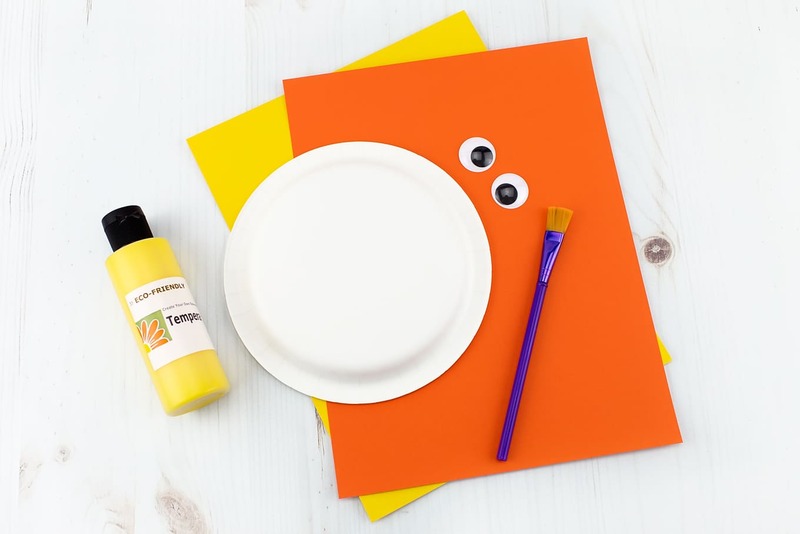 After gathering supplies, invite your child to paint the back of their paper plate yellow. 2. 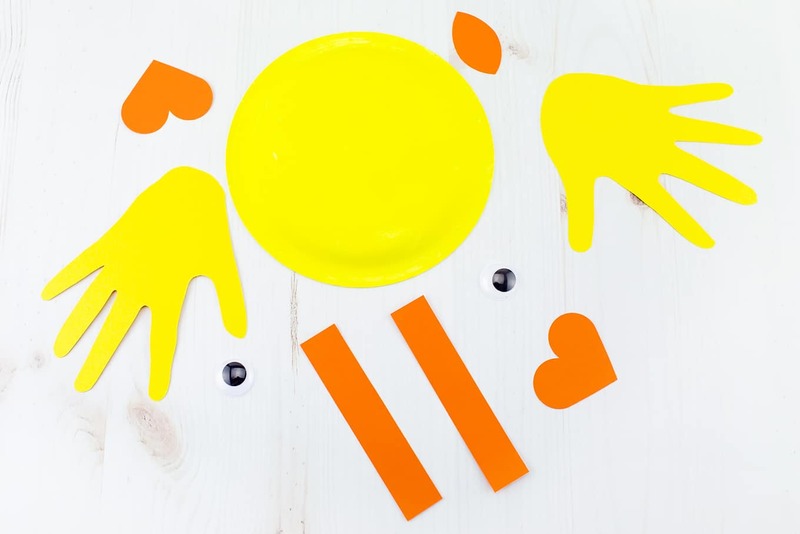 While the paint is drying, invite your child to trace their hands on yellow construction paper. At school, kids may enjoy partnering up to trace each other’s hands. 3. Next, cut out the handprints with scissors. Glue them to the back of the paper plate. 4. Cut out two 6-inch strips of orange paper, 2 small orange hearts, and 1 small orange petal shape. 5. Glue one orange heart to each orange strip to make the chick’s legs. 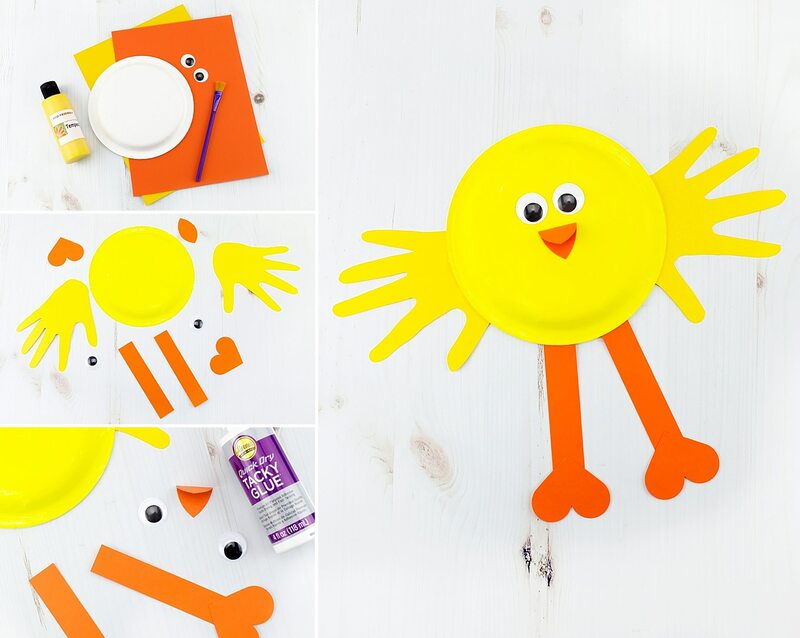 Next, glue the chick’s legs to the back of the yellow paper plate. 6. Fold the orange petal shape in half, then glue it to the middle of the paper plate to make the chick’s beak. 7. Last, glue two wiggly eyes above the chick’s beak. Isn’t it adorable? 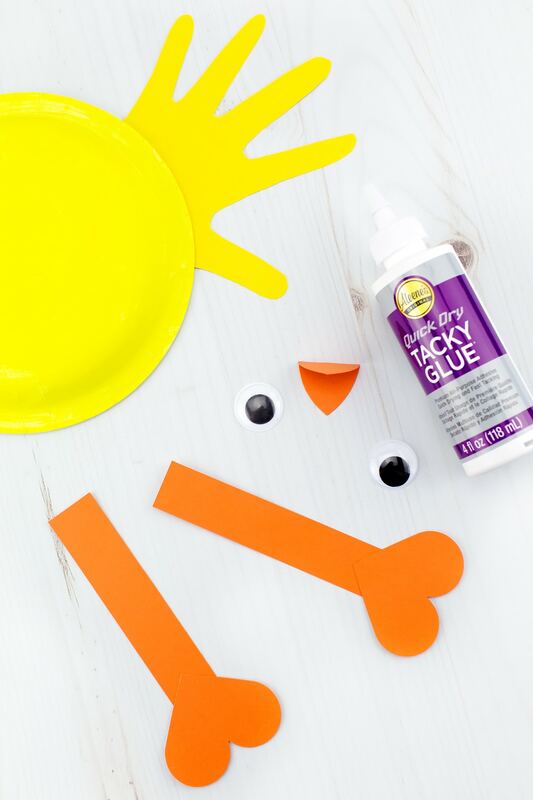 Super easy and fun for home, school, or daycare! 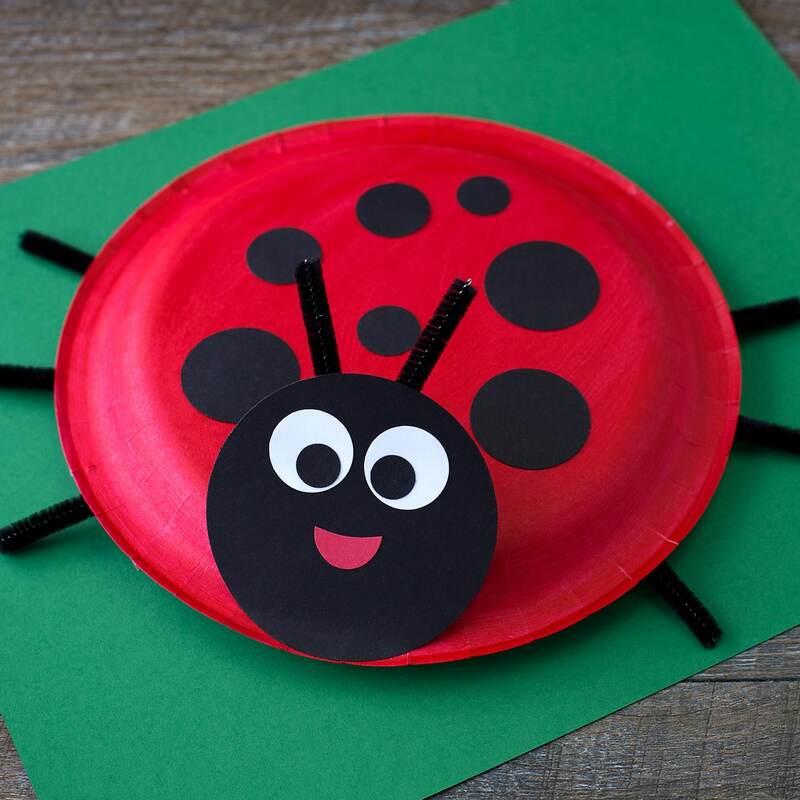 Click the images below to view more easy and fun paper plate crafts for kids.